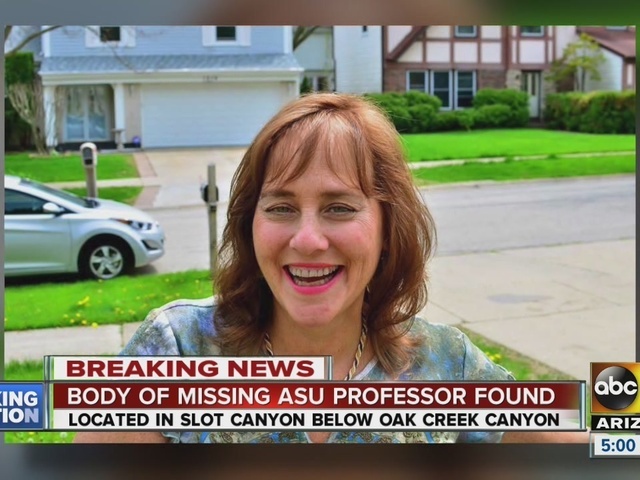 Authorities have found the body of missing Arizona State University professor Debra Schwartz near Oak Creek Canyon. 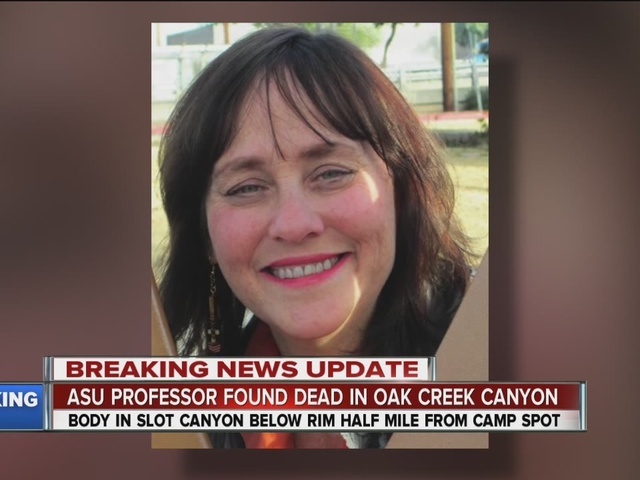 Officials said a three-member technical rescue team was searching an unnamed slot canyon below the rim of Oak Creek Canyon around 11 a.m. when they discovered her body. "This technical rescue team completed two rope rappels to make their way into the canyon to a spot where they were able to see the body and then a third rappel to actually reach the body," according to Gerry Blair with the Coconino County Sheriff's Office. Schwartz's body was found about a half-mile from her Palm Flats campsite, where she had been staying during the middle of last week. Sunday marked the third day of searching, which involved dozens of search-and-rescue members from Coconino and Yavapai counties and the Arizona Department of Public Safety, along with helicopters, search dogs and teams on horseback. The Coconino County Medical Examiner's Office will conduct an autopsy to determine how she died. Schwartz taught four introductory composition courses on ASU's Tempe campus during the Spring 2016 semester, as she had done for seven other semesters since joining the faculty in 2011, according to a listing on her university page. She also taught classes on business writing and reflective essays. "We are deeply saddened by the loss of our colleague, Debra Schwartz, who who devoted her career to helping others find the joy of newfound knowledge and creative ability," ASU Executive Vice President and Provost Mark Searle said in a statement. "Our hearts go out to Debra's family, and to them we offer the comfort of knowing that she helped enable so many to learn and understand the world a little better." 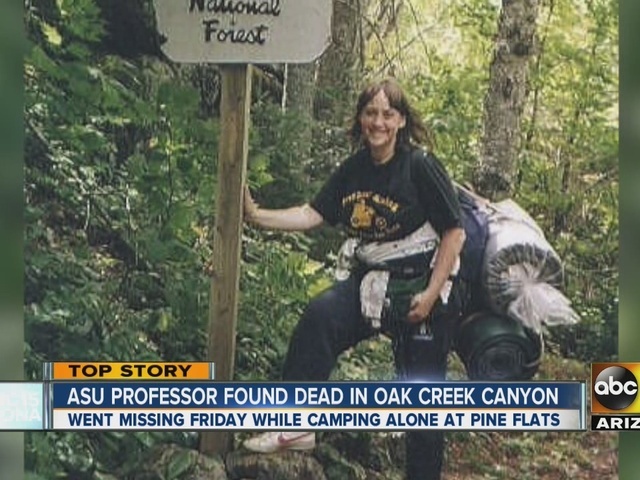 ABC15 has also learned that her work extended beyond campus. Schwartz was very active in the community, volunteering at the Justa Center to teach homeless senior citizens how to write, empowering them with a voice. Barbara Lewkowitz, the center's executive director, said becoming homeless could be de-humanizing, embarrassing and confusing for an elderly person. Schwartz helped them write their memoirs, which helped them take stock of their lives and move forward. Lewkowitz said she was instrumental in transforming lives. “This is obviously a woman who cared deeply and was very empathetic about people who she wanted to give a voice to, and give them an opportunity to share their life story,” said Lewkowitz. She taught humor and memoir writing at ASU and was a well-respected environmental writer and journalist, who contributed articles to many nationwide publications. According to her LinkedIn resume, she was also a grant writer for the Arizona Council on Economic Education. Micole Felder, a co-founder of the Justa Center, worked directly with Schwartz. He was saddened to hear about her sudden death and said she will be missed. “She was a lovely lady. A nice lady, a giving lady, and she truly cared. She would go the extra mile to help a client out. It’s really sad to see that she’s gone,” said Felder.